Get a comprehensive report on MacDownloader, a Mac OS X virus designed to steal U.S. defense organizations’ secrets via an intricate social engineering tactic. A group of threat actors, presumably from Iran, have recently launched a cybercrime campaign that zeroes in on individuals representing some of the largest defense organizations based in the United States. A sample of perpetrating code referred to as MacDownloader has been predominantly infecting Mac machines within these institutions. Security analysts investigating these sorts of felonies are accustomed to dealing with high-profile attacks reminiscent of the notorious Stuxnet worm incident back in 2010. In this case, though, things are a bit different, to put it mildly. The breach workflow appears somewhat primitive, which suggests that the adversary is either not professional enough or simply sloppy. The MacDownloader attack commences with a would-be victim visiting a phishing web page masqueraded as a training course for interns working in the target organizations. The social engineering part revolves around an old-school technique where the user is unable to watch a video on the site. According to a deceptive alert that pops up, the problem has to do with out-of-date Adobe Flash Player. Then, another dialog appears, instructing the user to update the software immediately. At this point, simply clicking the Close button on the box will terminate the MacDownloader compromise. Otherwise, the rogue update will result in further brainwashing. A new popup triggered if the user hits the Update Flash Player button is a notification that says, “Warning! Please Attention… An adware application found on your Mac OS (iWorm v0.681). This file will be clean in a few seconds.” Note that spelling errors and typos are literally everywhere on the malware’s dialogs. All in all, the detection of a worm that’s claimed to be adware is a huge giveaway. Indeed, why on earth would the genuine Adobe Flash Player report Mac infections? The most likely explanation of this apparent discrepancy is that MacDownloader must have been built as a rogue AV product, but the authors had to adapt its activity to absolutely new objectives and failed to do it properly. If the OK button is clicked on the spoof adware detection window, the victim will be presented with a new screen that requests their username and password. This is the phishing part in its most explicit form. In the event the user ends up providing their administrative credentials, the MacDownloader virus will be able to access the system’s keychain data and harvest all passwords. It doesn’t take a rocket scientist to predict the ultimate upshot of such activity – the offending program will attempt to transmit the collected information to its Command and Control server. To add insult to injury, it is also capable of downloading arbitrary payloads from the C2 and executing them inside the host Mac OS X machine without authorization. It’s clear that MacDownloader removal should be on a victim’s agenda. The tips below will shed light on the malware cleanup process. When confronted with malicious code like the MacDownloader, you can neutralize its toxic impact by leveraging a specially crafted system utility. The Freshmac application (read review) is a perfect match for this purpose as it delivers essential security features along with must-have modules for Mac optimization. This tool cleans unneeded applications and persistent malware in one click. It also protects your privacy by eliminating tracking cookies, frees up disk space, and manages startup apps to decrease boot time. On top of that, it boasts 24/7 tech support. 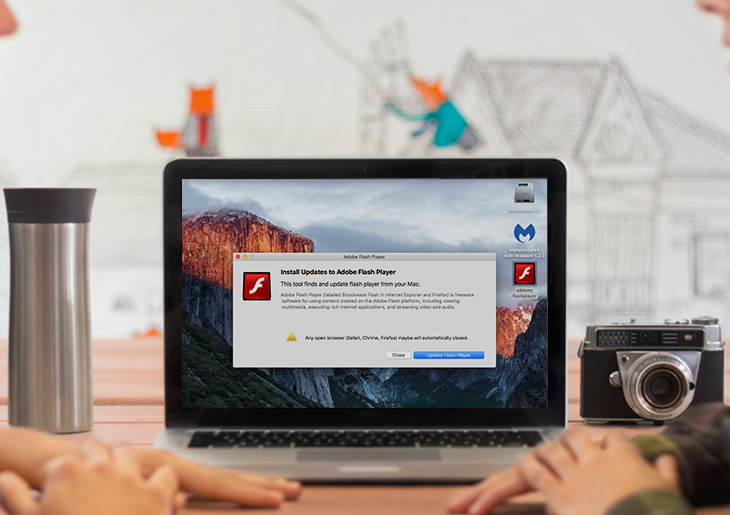 The following steps will walk you through automatic removal of the MacDownloader infection. 4. Check whether the MacDownloader has been fixed. If the lock screen is still there, go to the Uninstaller option on Freshmac GUI. Locate an entry that appears suspicious, select it and click Fix Safely button to force-uninstall the unwanted application. 5. Go to Temp and Startup Apps panes on the interface and have all redundant or suspicious items eliminated as well. The MacDownloader fraud shouldn’t be causing any further trouble.